Shop a great range of HTC 10 cases and covers. Whether you're looking for a rugged, gel, clear, leather, or even the official HTC 10 Ice View cover - you'll find a wide range of cases available from all the top brands, including Spigen, HTC and Olixar. Offering stylish protection, these HTC 10 cases are perfect for protecting your smartphone's beautifully crafted all-metal unibody against everyday wear and tear. 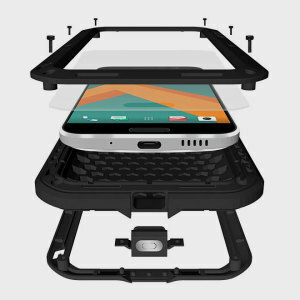 Each case has been specifically designed to fit the HTC 10 handset, making the most of its chamfered contour and quality construction.